As long-time, expert picture framers in Adelaide, there’s only one motto we live by (and that we encourage our clients to adopt): ‘Have art, will hang’. Of course, not all artwork needs a frame. But when you do decide that your piece of work will need an accompanying frame, you’ll want to choose the right one. Before they come to see us, our clients tend to start their journey choosing a frame by considering their decor. But this is often the wrong point to start with — instead, you’ll need to find a frame that will match your art. In fact, in our experience providing picture framing services in Adelaide, clients who choose something timeless that complements the Artwork well can make it work in any room, across any decor or style. People forget but framing itself was and is itself intended to be a decorative art, a design-focused endeavor. And even ‘simple’ frames, when matched thoughtfully, can enhance aesthetics. Through these five simple but timeless tips, you can decide on frames that will similarly enhance and elevate your chosen artwork. 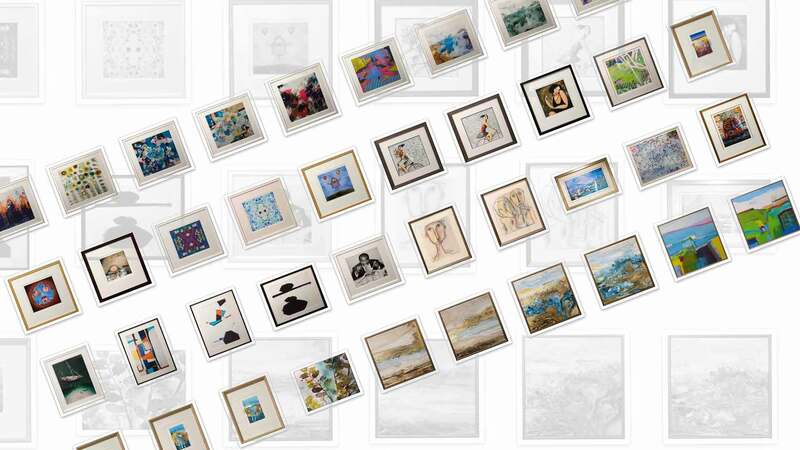 Whether you’re an avid collector of art or still getting to know your own style and tastes as an art connoisseur, do yourself a favor and build a relationship with your local framer. A professional framer will be able to provide you with expert advice as well as get a sense of your personal taste, based on your chosen works of art. Framers in Adelaide will usually start with the size of the work and then consider textures, colours, and movement in the piece. From here, your framer will zero in on the main elements of the artwork, what they believe are the most noteworthy points to denote and bring out using the frame choice. Of course, you’ll want to share as much as possible about the art and your decor so your framer can help you make the best decision. If you’re going for a ‘clean’ and ‘modern’ look, you’ll want to stick to frames that are simple, elegant and sleek. This is also true if your artwork is busy, popping with colour or is interesting enough on its own that it doesn’t need a decorative element like a frame to highlight its presence and its thematics. Many clients end up going for a frame that is classic, like a white, black or natural wood gallery frame, in order to preserve the integrity of the artwork itself. The smaller the work, the larger the mat should be. Smaller art pieces like personal photographs can have a mat larger than the print by about five to seven centimeters. Meanwhile, work that is intended to be hung together is better off with little to no matting at all. Classic colours include white and cream. We recommend this as the best choice because, while coloured mats can be interesting, they tend to become a bit dated over time. However, even your white and cream mats can amp up the ‘drama’ if you choose to add small but certain details like a gilded bevel. ‘Vintage’ frames are often a design in themselves and, again, should not be used to overpower but rather to complement the artwork itself. Sometimes, contrast is the best way to do this. So if you have a modernist piece of work, it might look spectacular and very interesting (not to mention, ironic) in an old-world, carved and gilded frame. If you do have a separate and somewhat secret hankering for collecting vintage frames yourself, you can even choose a frame from the same art era as the artwork. The ‘finishing touches’ are where the professional eye and expertise of your Picture Framers in Adelaide will come in handy. The particulars include such details as making sure the corners are a true 90 degrees and ensuring the quality of the frame, and its finish is perfect. Your framer should also be advising you on the glass, the use of floater frames, multi-layered frame compositions, and fillets, where necessary. While these five tips are very useful as general rules of thumb, you should still feel free to experiment! While our team at Art & Frame will always guide your framing and purchase decisions, we encourage you to not only keep an open mind but go with your gut instinct. Even a non-traditional painting can take on a new sense of significance and importance with the right sort of ornate or oversized frame. Reach out today and let us show you how to make your art even more unforgettable using the right frame.